Hey Sister, can I let you in on a little secret? 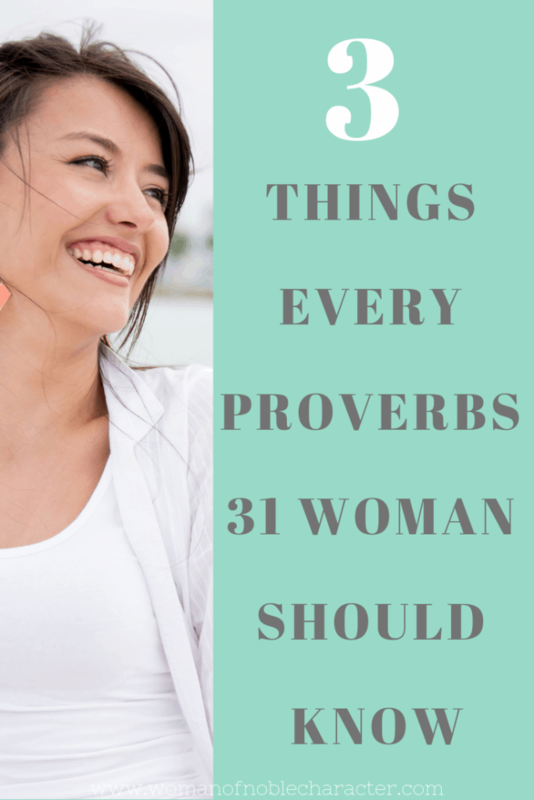 I used to cringe whenever I read Proverbs 31. It’s true. I’d smile while I sat in the church pews on Sunday, but inside my heart quietly began to sink. The pastor would read how a wife of noble character would indeed be hard to find, but once she was found, she needed to be praised. 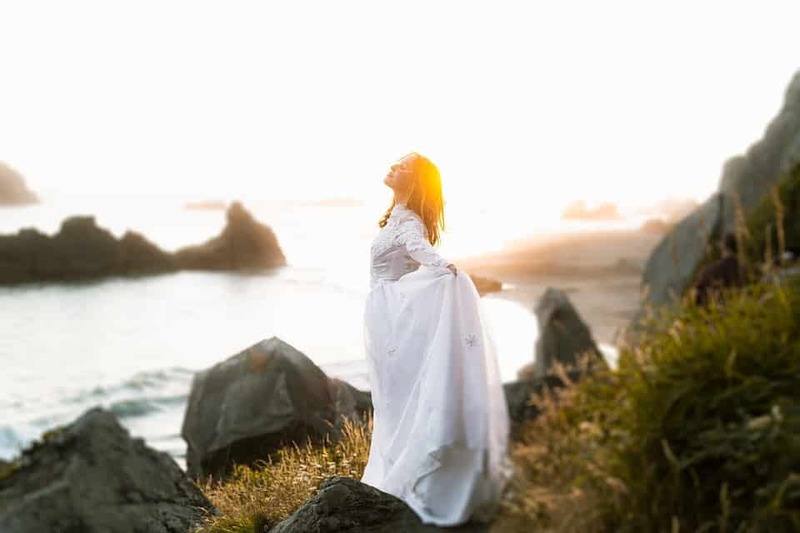 She was valued far more than rubies or other precious stones, and as the he continued to preach through the chapter, he examined her flawless traits. Slowly my forced smile began to morph into a blank stare. If this was the essence of Christian femininity, I felt the sting of my own ‘lacking’. I didn’t know if this perfect woman existed, but I knew it wasn’t me. I couldn’t cook. I couldn’t sow. I hated doing laundry and making everything shiny. 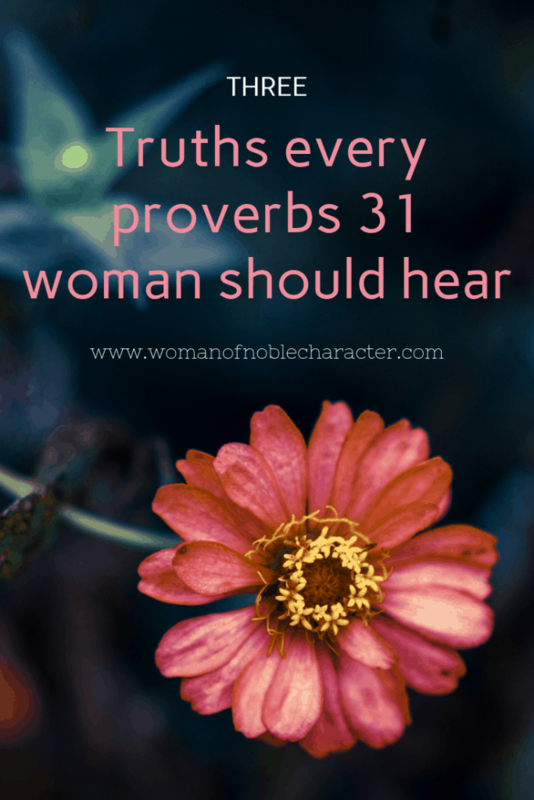 Sure, I wanted to love my babies and my husband, but the majority of these Proverbs 31 characteristics did not resonate with me. And so, I drew the natural conclusion. I’m sure God is disappointed. I exited the church doors feeling defeated and discouraged. No matter how hard I tried to live up to this “ideal” standard of womanhood, I knew I would always fall short. I could never label myself as noble, let alone mediocre or good. But then a miracle occurred in my life. I went to seminary. 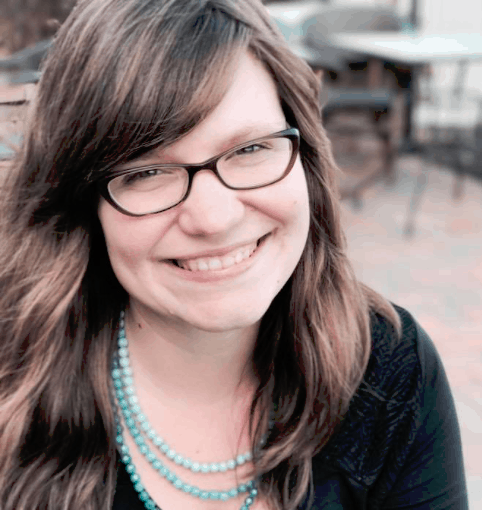 Within the walls of Moody Bible Institute, I learned how to read a passage within its context and culture. I learned how to study God’s Word and apply Scripture in ways authors intended. And in the midst of all my studying and paper writing, I realized something else. I had been reading Proverbs 31 wrong my entire life! So, let me share some sweet truths with you, Daughter of God. 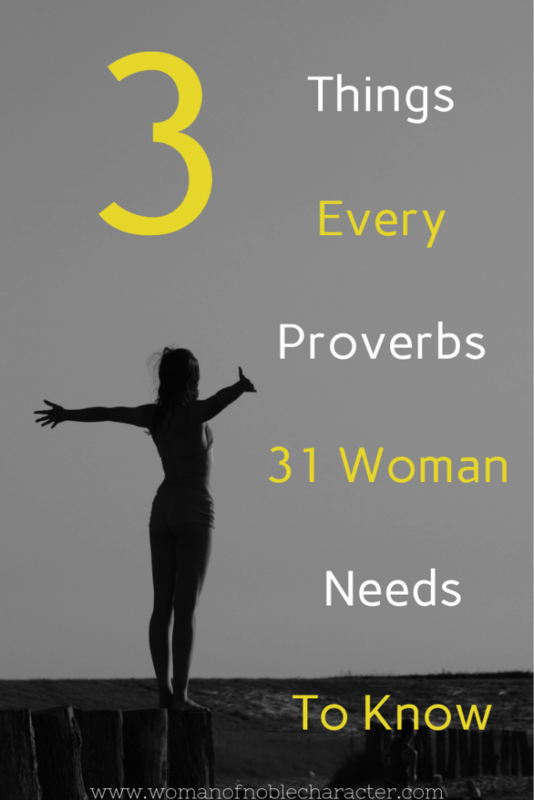 Because the Proverbs 31 woman does exist. She just may look different than we think. 1.) You don’t have to do all the things. At first glance, this passage may make it seem like you have to do everything and you have to do it well. But what if the details mentioned are actually meant to point towards something deeper? What if the tasks are part of an underlying tapestry instead of a list of to-do’s? 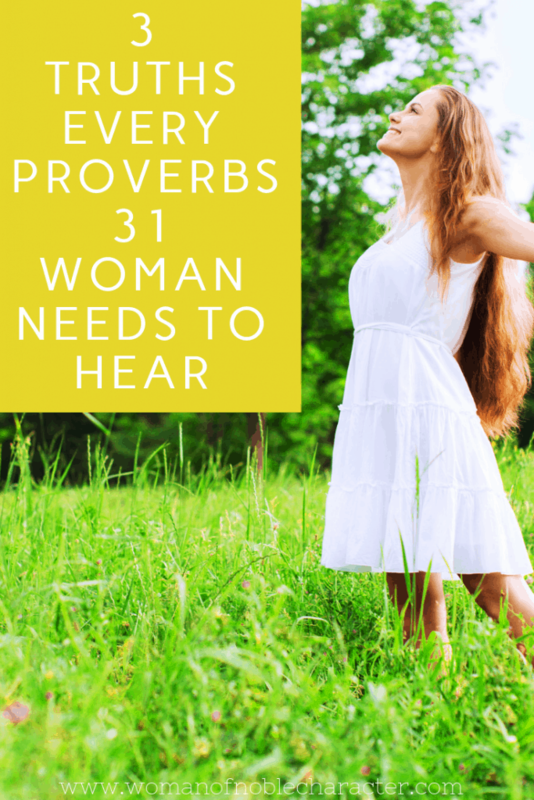 Because there is NO way we women can realistically tackle everything in Proverbs 31 full-force and thrive, let alone survive. Case in point, Proverbs 31:18 says, “She sees that her trading is profitable, and her lamp does not go out at night.” Does this mean women are not allowed to sleep? Of course not. I mean, we are all sleep-deprived (*can I get an exhausted AMEN! *), but God also calls His children to REST. He knows that if we don’t take time to recharge and refresh ourselves in the Lord, we burn out. So clearly the description here is not meant to be taken literally, just like many of the other verses. Instead, we need to focus on the meaning beneath list. 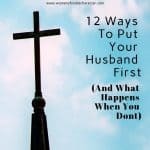 We are encouraged to take care of our husbands, children, friends, family and community. God wants us to help with their needs in order to nurture and care and build a home that is centered around His peace and kindness. This can be displayed in many different forms, and that is why several examples are given in this passage. When Paul described the various parts of the Body of Christ, he made it clear that everyone did not have all the giftings, but they were still a part of God’s kingdom. I believe the same goes for us as God’s women. We are not required to do everything listed in this passage in order to be a part of the Proverbs 31 tribe. (i.e. We can still be a woman of noble character if we slack on cooking. Thank you, God!) So, instead of constantly striving to get more done, how about we serve with a well-intentioned heart. It’s not about the quantity, sweet friend. It’s about the quality. We don’t have to do it all, but we can do everything in love, which leads to my next point. 2.) 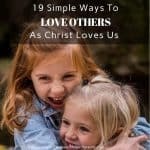 You are loved for WHO you are, not what you do. As women, we tend to perform and compare. It’s finely imprinted in our female DNA. But things get super murky when we start measuring ourselves against the standards of loved ones, society, or even the church. Soon we begin to make self-assessments and rarely are these judgments pretty. Every woman will come to place in her life where she will ask a profound question: Who gets to tell me who I am? My husband? My kids? My friends or my job? Because the Bible gives us all a clear-cut answer, and it’s the best answer we could ever hope to have. Nobody has the right to determine your worth. Not even you. The only One who has the power to decide who you are is God, and He already made up His mind at the Cross. Jesus said IT IS FINISHED. (John 19:30) These powerful words defeated sin, death, the devil and shame. Everything that created a rift between you and your good God was nailed to a tree and covered in the Savior’s blood. Nothing is held against you. Your mess-ups don’t define you. Your struggles don’t have a say. God has written your worth in the heavens and He declares to ALL you are His. No matter what we are going through, no matter what we have or haven’t done, God sees us as His Daughters… not a disappointment. We are righteous and pure, redeemed and free. People may try to tell us otherwise, but God has the final say. We can walk into each day with confidence and boldness, knowing we are loved. 3.) The most important thing will always be Jesus. Near the very end of this passage, we receive the infamous exhortation for women. “Charm is deceptive, and beauty is fleeting; but a woman who fears the Lord is to be praised.” (Proverbs 31:30) The single most important aspect of your life and identity is not your charm or your beauty or any of your works. It’s your relationship with the Maker of all things, the King of Kings. You can be killing it in all other areas of your life, but if you aren’t investing in your relationship with God, your heart and soul will feel it. Eventually it will seem like you are serving from an empty cup, but Jesus will give you an invitation to rest – to renew – to transform your mind with the knowledge of our noble God. When we fear the Lord, we recognize the glory of His entire being. We see how big and kind and mighty He is. We see His justice and mercy mixed into one. We begin to trust Him more with our most precious things, and we choose to let go. We lean into His power and accept extravagant His grace. As we soak up His goodness, we begin to fall in love with His character and personhood. And we finally understand that even though we are blessed, He is actually our biggest blessing and our very BEST thing. These three realities make reading Proverbs 31 a joy. It’s changed the way I interpret the Scripture, and it’s turned my heart towards God. I pray you leave this page feeling uplifted and encouraged. Because you are enough in Him, Dear Reader. The Cross has deemed it so.